At All Star Plumbing, we offer a variety of plumbing repair services to the Columbia and Mid-Missouri area. Plumbing repairs can range from a simple small fix like a faucet leak to a much larger emergency problem like a sewer pipe or water heater repair, and All Star Plumbing attacks all plumbing repairs with the same approach and mentality. Our years of experience on our team, headed by Master Plumber Rob McDowell, allows us to guarantee efficient and affordable service. Is there a wet patch of ground on your property that just doesn’t seem to dry? Is your water bill increasing without reason? You might have a water leak. In this video, Rob makes an easy job of identifying a leaking pipe, digging it up, and repairing the leak. Rob’s skill comes out in the details of this small job. He makes a good guess where the water is coming from. Then, he watches the water seeping through the walls of the hole. He uses that to determine which direction to dig to find the pipe and, eventually, the problem. Within a few minutes, Rob finds the leak and has the water line repaired with the proper and support fitting. A significant sewer repair can be a point of dread for any homeowner. They can be a costly and even messy business if put in the hands of the inexperienced or overzealous. Fortunately, we know exactly what we’re doing. This video showcases the work, attention to detail, and professionalism of Rob and his crew. Here, he takes us step-by-step in the sewer repair process from digging out the old and broken terracotta sewer piping and laying in the new heavy-duty plastic tubing that replaces it. One point of differentiation in this case that sets Rob apart from other plumbers is the fact that he recommends replacing the entire pipe rather than only the affected sections. This can seem like a costly upcharge but Rob makes it an easy and affordable choice. Especially, since it will likely save the client hundreds if not more in the long run. At All Star Plumbing in Columbia, MO, we aim to be your go-to plumber for routine maintenance and emergency help. When it comes to plumbing repair, no task is too small or too large, and they are all of equal importance to maintaining the structure and quality of your home. Allow us to use our years of experience to help you! 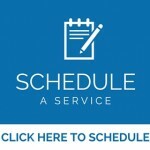 Schedule a service with us today!